Fig. 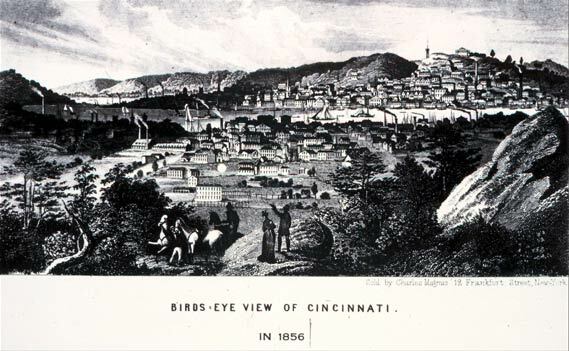 2.26 Birds-Eye View of Cincinnati. / in 1856. [Letter sheet]. George Magnus. Engraving. n.d. 3&9/16 x 7&4/16 in (9.05 x 18.42 cm). New York: George Mangus, 1850s. Cincinnati Historical Society Library.